On Monday the 2nd of July the South Fremantle District held the annual holiday clinic but with a twist. Instead of a basic clinic with normal football drills, the activities were then turned into exciting fun and football related challenges. 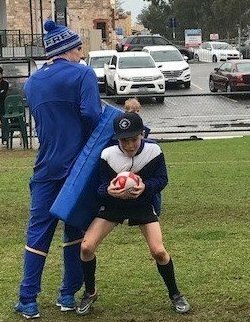 113 Boys and girls from years 1 to 8 embraced the horrendous weather conditions to complete all the challenges to be named the July School Holiday Challenge Champion. There were 11 different activities set up, all testing different aspects of your football knowledge/skill with some fun fitness activities. 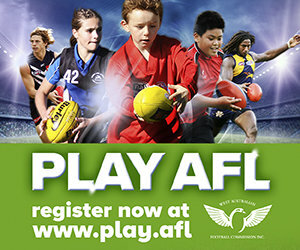 Activities list: Blindfold Goal Kicking, Longest Bomb, Footy Keepy up, Footy Darts, Marking Mayhem, Boundary Bombardment, Dunstall Dribble, AFL Skills Challenge, Boxing Bonanza, Gladiator Course and Water Slide Goal Kick (Unfortunately it was not able to be set up due to the weather). 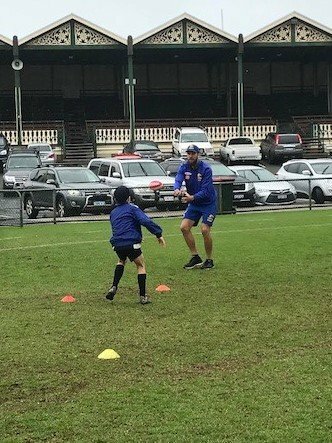 To help out in running the day we had a handful of West Coast Eagles players attend with the likes of Shannon Hurn, Luke Shuey, Jack Redden, Dom Sheed, Will Schofield, Liam Duggan and more. 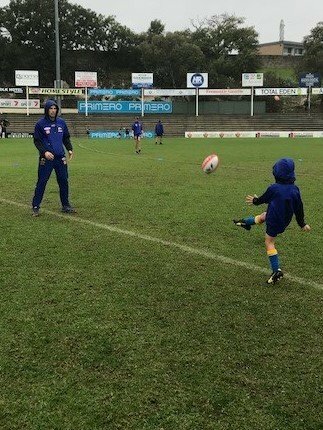 Even though it was pooring rain and blistering winds the Eagles players endured it all to have fun with their supporters and future football stars.